Police activity in a Sheffield park this morning is centered around a pond. Five police cars, a crime scene investigation van and a police regional marine unit van are all parked around a police cordon in place in Bingham Park, off Hangingwater Road, Nether Green. 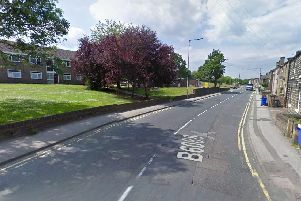 Details of the nature of the incident under investigation have not yet been released by South Yorkshire Police. Officers have taped off an area close to the Shepherd Wheel working museum in the park.